By Fred Latimore Oghenesivbe Esq (EA Communications). 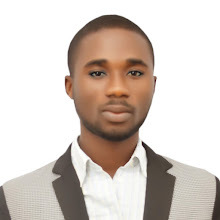 It is a universal truism that no responsible government would fold its hands and allow incurable financial recklessness, official negligence and other vices tantamous to socioeconomic development and advancement to thrive. Therefore, every proactive and honest administrator saddled with the responsibility of managing public funds and the entire affairs of a government be it federal, state or local government must muster the political will-power to right the wrongs, take positive results oriented steps to reposition ailing government corporations, agencies and parastaltals. It follows that the state owned intra and inter-city transport company, Delta Line has been a financial drainage pipe for the state government and nothing concrete was done to stop massive stealing of government funds by some highly corrupt and unpatriotic staff of the company. Delta Line is not a charitable motor company. It was set up to run as a profit making corporate going concern essentially to cater for the transportation of passengers, goods and services at a fair tariff and in the same token make substantial annual profit for its owners, the Delta State Government and by extention the good people of the state. To the contrary, Delta Line over the years became "no man's business" where unscrupulous elements within the company enriched themselves with proceeds from sale of tickets and other sources of income. Vehicles in its fleet were mismanaged devoid of maintenance culture resulting in the massive depletion of serviceable buses. The projected financial gains from several billions of Naira pumped into Delta Line crashed into private pockets. 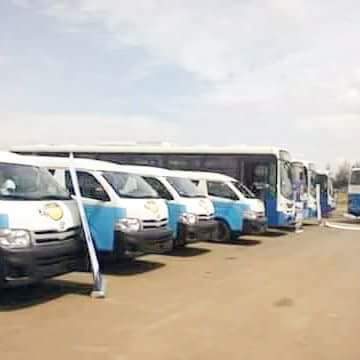 While private transport companies like God Is Good Motors, Agofure Motors, Edegbe Line, Greener Line and others were declaring huge profits and increasing their fleets and routes every year, Delta Line remained a lame dock and a problematic bankrupt organisation. The long history of acute operational and management failures as a result of massive corruption in Delta Line prompted forensic investigations into the affairs of the company by the Okowa administration. The result was highly discouraging and painful considering the wasted billions of Naira of tax payers money plunged into the bottomless pit of the transport company. The present administration under Gov Okowa after critical analysis of the epileptic services occasioned by embezzlement of government huge investments decided to settle for the best option of public-private partnership. The state government recently signed the joint ownership agreement on a 60-40 equity participation basis with the management of Good Is Good Motors. The new arrangement places the professional and efficient management of Delta Line in the competent corporate hands of GIGM. The private sector partner will expand the fleet and also deploy Mercedes Benz 15-seaters executive buses branded in Delta Line corporate colours. The new managers shall apply standard corporate policies with centralised checks and balances in the financial accounting protocol such that the leakages and financial recklessness will become alien to the motor company. This is where we are and the future shall be great. It will be recalled that prior to the present arrangement some staff of the company were indicted for financial crimes. The company was always in deficit. Two of the staff, Chidi Odili and and a driver, Mr Godwin Okome sold a Sienna Bus for N450,000 and the vehicle was later recovered in Benin City, Edo State capital. Two security men at Cola station and another opposite Grand Hotel station of the company on different occasions sold Delta Line Car Engines, Plasma Television and other properties of the company. They were handed over to the police for prosecution. It was that bad. No responsible government would fold its hand and allow the company to decay, completely waste government investments without making frantic efforts by taking decisive and proactive steps to reposition the company and make it viable, profitable and expand its fleet and routes. During President Olusegun Obasanjo's civil government, the Nigerian Airways was sold outrightly to Arik Air when it became very clear that the airline may never be free from the grip of unscrupulous and criminal elements within the system. As a result, the monthly funds allocated to Nigerian Airways stopped for good. Earlier in the week, President Muhammadu Buhari and the Federal Government agreed to the concession of Murtala Mohammed International Airport, Lagos and Nnamdi Azikiwe International Airport Abuja, to private corporate entities so as to curtail losses occasioned by massive corruption and mismanagement of the two airports finances and funding from the federal government. This steps taken by the APC national government is by no means different from the arrangement between Delta State Government and the management of God Is Good Motors. It is therefore anti development and very unpatriotic for any individual or group of persons to question the positive steps taken by government in reposition the ailing transport company which was commended and applauded by majority of Deltans across the State. The new Delta Line under the management of GIGM shall in the near future grow to become one of the largest transport company in the South-South. Monthly allocations from the state to Delta Line has been stopped and funds channelled into other productive ventures for the benefit of Deltans.